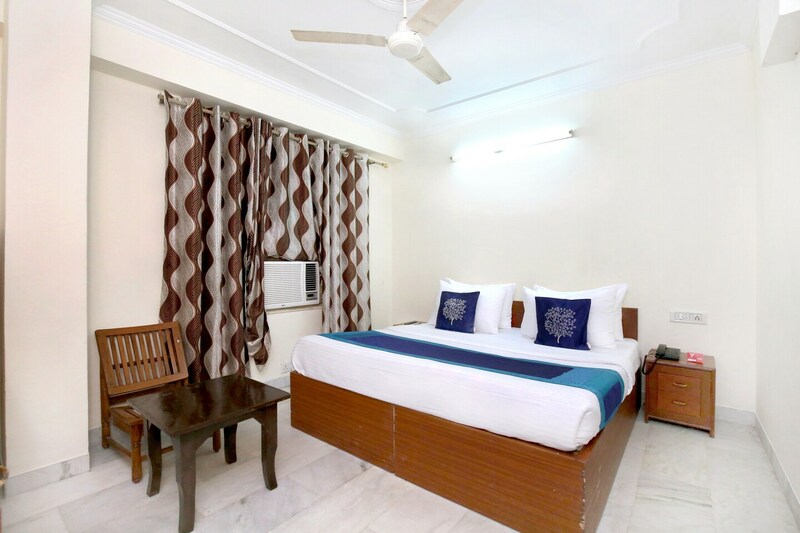 A minimalistic accommodation, Hotel Sun Valley is here to give you a pleasant stay in Chandigarh at a very reasonable price. The reception gives you a warm welcome with nice interiors and an attached seating area. The rooms are simple and sober, giving you homely vibes and the bright cushions give a bold accent to the rooms. These rooms are fully furnished with all essential amenities that are convenient for all kinds of travelers. They are super clean, spacious and brightly lit. The bathrooms are also neat and clean and well-maintained including a geyser for when the weather gets chilly.